I have been investing in the stock market for over 20+ years now. In that time, I have had some success. For example, there was a period of time where I started trading equity options. At one point, I had profited over $30,000 in about 5 or 6 months. Unfortunately, the greed and inexperience took over … and within a few months I had lost the entire $30K and another $10K by making questionable options investments. I still think there is actually good profits to be made investing in options. I just don’t have the risk tolerance that I once had to go through another loss like I did years ago. So over the past 8+ years, my wife and I have adopted a more conservative investment strategy that works for us. This strategy is what I am teaching my teenage son and one I would highly recommend to any beginner interested in investing in the stock market. If you want to find a get rich quick strategy for investing, then you probably won’t like this article. I have tried many different investment strategies and none have been as successful for me as buying and holding quality dividend growth companies. That is not to say you can’t make good money day trading, investing in penny stocks, or even options trading … but that isn’t for me. Investing in quality dividend growth stocks provides income for my family (which is currently reinvested into more stocks). Owning these stocks doesn’t keep me up at night. They also help us build our net worth one month at a time. So if I were to recommend a strategy to any new investor … it would be to start building a dividend growth portfolio of stocks. And to do it now (see #2) – don’t wait! If you are interested in learning more about this strategy, check out our article on how to select dividend stocks for your portfolio. I wished I had started investing in dividend stocks when I was in my twenties … or even my teens! This is by far my biggest investing mistake ever … not investing early on. If you follow a dividend growth strategy, then compounding interest will be your biggest ally. So the sooner you start investing, the more time in the market you will have at your side. Starting to invest in your early twenties (or even sooner) gives you time to let your assets (i.e. stocks) grow in value and earn income. Then that income (see #4) can be reinvested so that it can earn even more income. Note – If you are under that age of 18, then you will need to open a custodial account. I recommend choosing a low cost broker that offers custodial accounts like Stockpile. 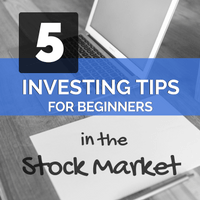 Chances are if you are just starting out investing in the stock market, you may not have a ton of money. Even if that is not the case, you still don’t want to spend a bunch of money on brokerage commissions and fee’s. Luckily, there are several no cost brokers now available to use. My two preferences are LOYAL3 and Robinhood. Combined, we have about 30% of our current dividend income portfolio sitting in this accounts. Note – I used to recommend LOYAL3 as another broker option but they have since shut down. If you don’t like Robinhood, then give Stockpile a try. Both of the brokers have their advantages (and disadvantages), so make sure to do your research before opening up an account. No cost brokers let you stretch your investment dollars further and make it possible for you to start buying stock for less than $100 without any worry. Once you get your portfolio up and running, it is crucial that you reinvest your dividends. You need to take advantage of compounding interest. Let those dividends dollars you earn work for you to earn even more income. This is key to a dividend growth strategy. Since you hopefully started investing early on, you have time on your side. And having more time in the market allows your assets to earn compounding interest over and over and over again. There are plenty of ways to reinvest your dividends at no cost. For example, most brokers offer dividend reinvestment plans (DRIP) that will automatically reinvest your dividends into partial shares of the same stock. Take advantage of these plans early on. Other brokers like LOYAL3 and Robinhood don’t offer DRIP, but do offer free commissions so you can still reinvest that money on your own. In fact, we have a strategy for reinvesting our Robinhood dividend income as soon as we have enough funds to buy a single share of stock. No matter how small, keep reinvesting those dividends and watch your portfolio grow. Dividend stocks come in all different shapes and sizes of companies. There are your traditional blue chip, boring dividend stocks that yield around 2.5% to 3.0%. Companies like McDonald’s (MCD), Clorox (CLX), and Johnson & Johnson (JNJ) fall into this category. You will want to build the foundation of your portfolio from these boring stocks that have continued to raise their dividends each year for the past 25+ years. Then there are your high growth/lower yield stocks that have the potential to eventually become one of those boring stocks mentioned above. Companies from this category may not have the history that the others do and are usually riskier dividend investments … but they have a ton of potential. We have added companies like Apple (AAPL) and Microsoft (MSFT) to our portfolio over the last year that fall into this category. Finally, there are other higher yielding companies like real estate investment trusts (REIT’s). These companies may be riskier dividend investments but sprinkled into your portfolio can bump your average yield considerably. It is extremely important to diversify your dividend growth portfolio across many different stocks. This will help reduce any risks from companies that may unexpectedly cut their dividend. Diversify across different sectors (i.e. Consumer Goods, Financials, etc. ), companies, and types of dividend stocks. We generally maintain a portfolio of around 30 stocks at one time. If I could go back in time and start over … I would definitely start building a dividend growth portfolio of stocks before the age of 20. Building this type of portfolio offers a chance to earn income, while also increasing your net worth. Taking advantage of zero cost brokers can help beginning investors use more of their dollars to invest … rather than paying them to a broker. When building your portfolio, it is crucial to reinvest your dividends in order to take advantage of compounding interest. Finally, in order to keep your risk low … it is important to diversify your portfolio and spread your investments out across many different stocks. Have you started building your portfolio of dividend stocks? 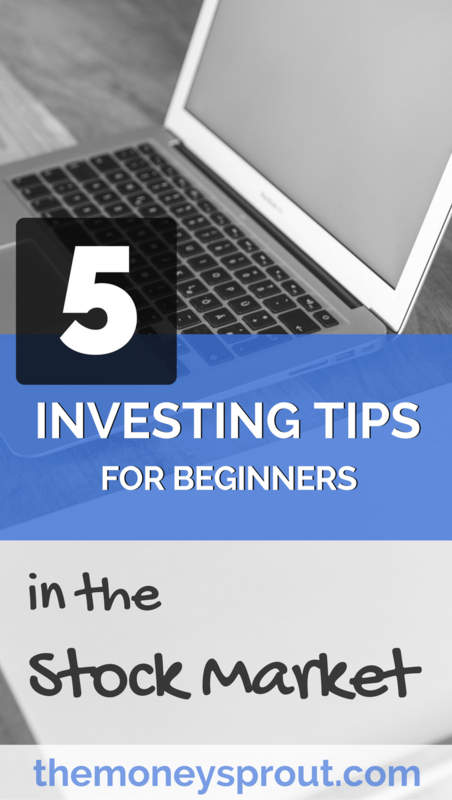 What other investing for beginners advice can you offer?